From Lapp, the H07RN-F cable is ideal for handheld and power supply devices. 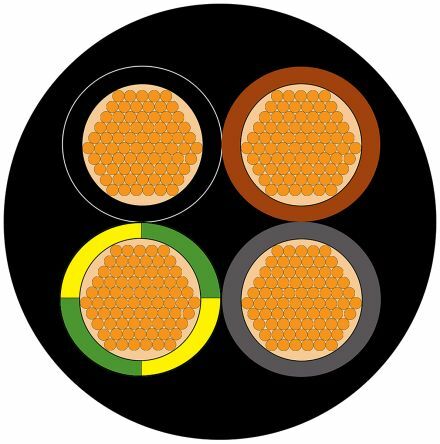 This heavy duty rubber sheathed cable is designed to withstand medium mechanical stress, and is often found used in challenging environments. Thanks to the cable's resistance to cold, water and UV, it can even be used for some outdoor applications. 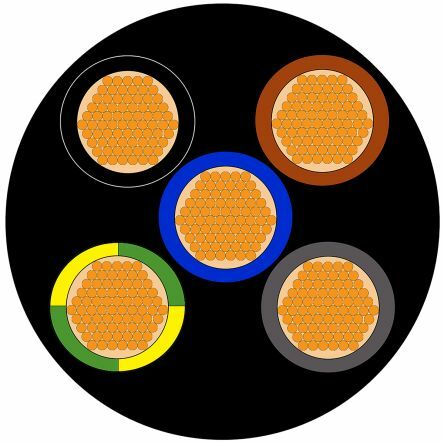 Comprised of a harmonized fine wire copper strand with a rubber compound core insulation and outer sheath, this single-core black rubber cable is halogen free and flame resistant. Flexible and reliable, the Lapp H07RN-F cable is often used as a safe and reliable way to connect machinery and equipment to mains power. 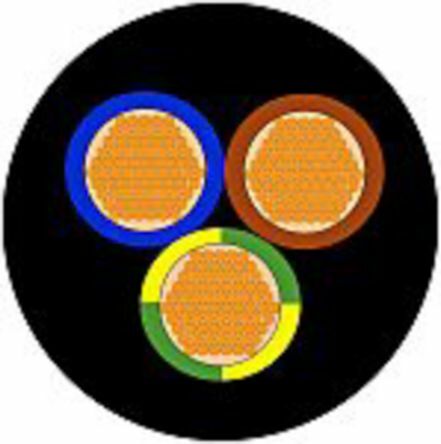 H07RN-F cable is a type of harmonised cable which means it belongs to the Harmonised Reference System and conforms to the European Harmonisation Standard. This purpose of this standard is to improve standards and quality of cables across Europe to ensure the trade of common standard product. A H05VV-F harmonised, flexible wiring cable for indoor installations. Flexible cordage PVC insulation Oil resistant Suitable for use in domestic environments; homes, offices etc.